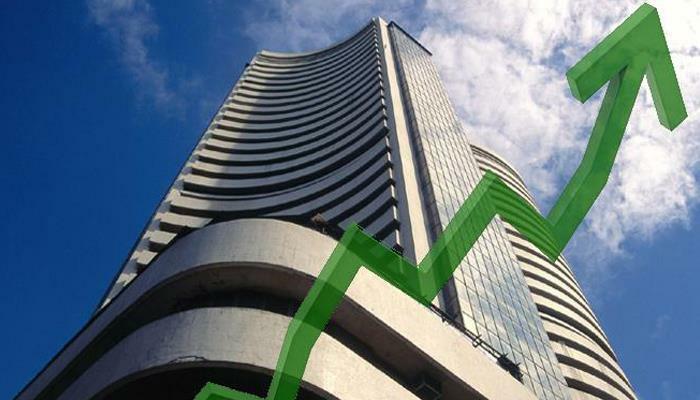 MUMBAI: The BSE benchmark Sensex jumped over 200 points and the NSE Nifty reclaimed the 11,400 level Friday, tracking by gains in banking, auto and IT stocks amid unabated foreign fund inflow, strengthening rupee and positive global cues. The 30-share index was trading 240.83 points, or 0.64 per cent, higher at 37,995.72, while the 50-share NSE Nifty climbed 74.90 points, or 0.66 per cent, to 11,418.15. In the previous session, the Sensex ended 2.72 points, or 0.01 per cent, higher at 37,754.89, and the broader Nifty closed with gains of 1.55 points, or 0.01 per cent, at 11,343.25. While, HUL, Coal India, Bharti Airtel, ITC, Tata Steel and Bajaj Auto were top losers, falling up to 1.47 per cent. According to Hemang Jani, Head - Advisory, Sharekhan by BNP Paribas, the market seems to be in a positive mood ahead of the 2019 general elections. "Foreign institutional investors (FIIs) have pumped around Rs 30,000 crore this year which is a positive for equities. Investors seem to be factoring another term for the current government," he said. On a net basis, FIIs bought shares worth a net of Rs 1,482.99 crore on Thursday, while domestic institutional investors (DIIs) were net sellers to the tune of Rs 817.77 crore, provisional data available with BSE showed. Elsewhere in Asia, Hong Kong's Hang Seng jumped 0.95 per cent, Shanghai Composite Index rose 1.54 per cent, Kospi gained 0.69 per cent, while Japan's Nikkei rallied 1.03 per cent in early trade. On Wall Street, Dow Jones Industrial Average ended 0.02 per cent higher on Thursday. The rupee, meanwhile, appreciated by 20 paise to 69.14 against the US dollar in opening trade. Brent crude futures, the global oil benchmark, slipped 0.01 per cent to USD 67.22 per barrel.